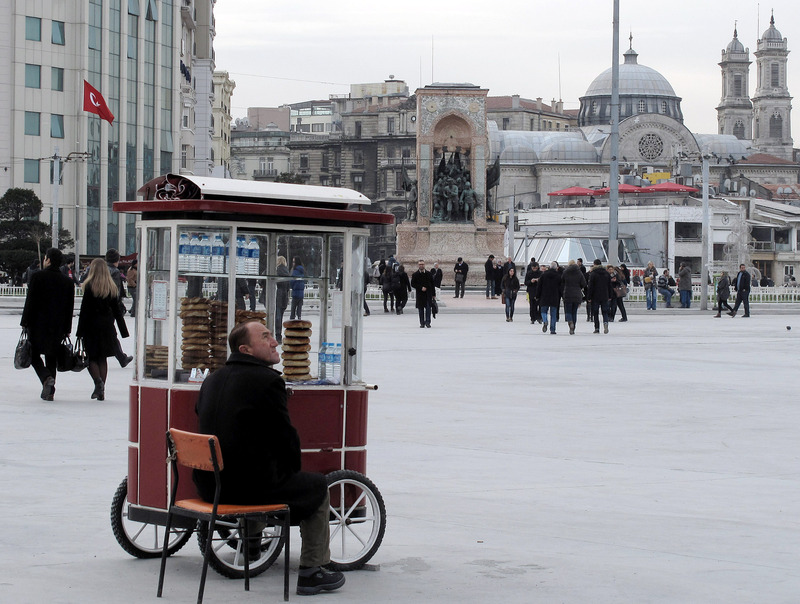 Pretzel seller in Taksim Square. 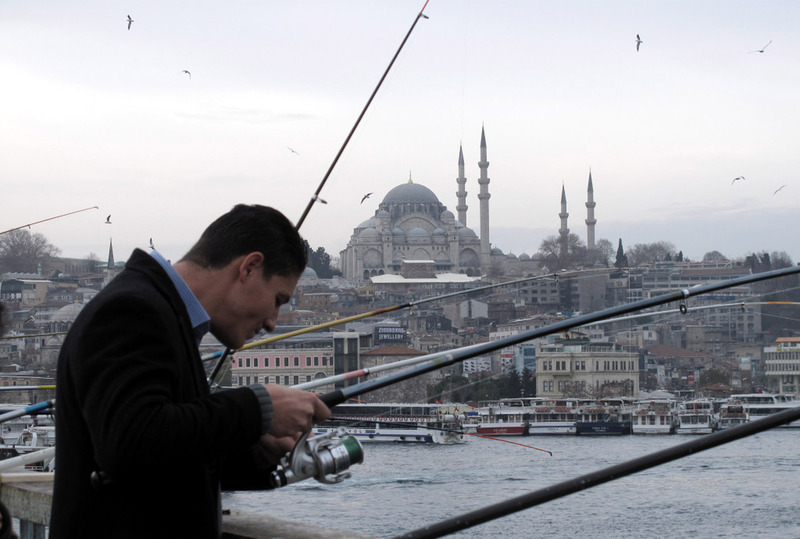 Fishing for Hamsis (anchovies) on the Galata bridge with the Süleymaniye Mosque in the background. 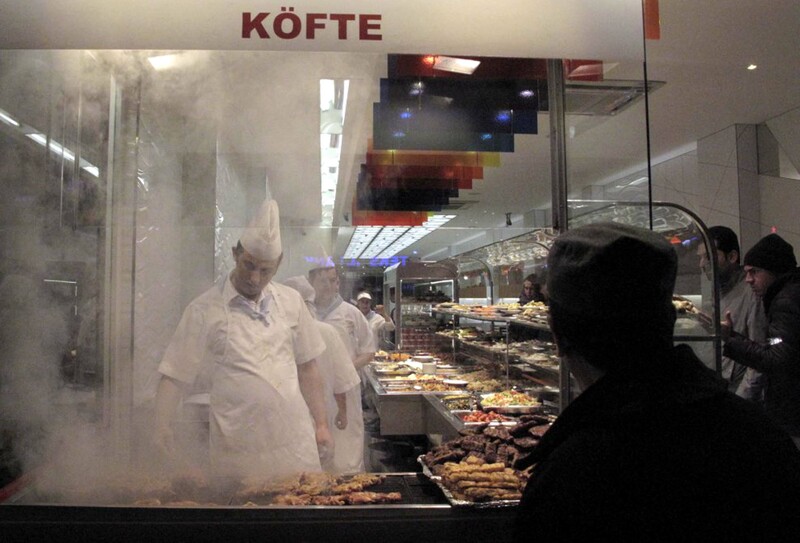 Taking a break from a busy market day near the Spice Bazaar. A stocking salesman demonstrates his merchandise to the ladies near the Spice Bazaar. 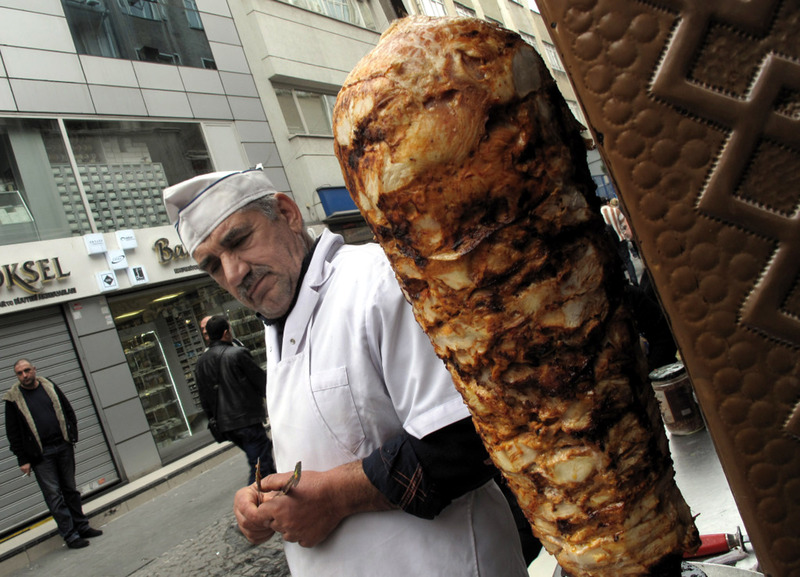 Street meat, in this case, Tavuk (chicken) just waiting to become someone’s donair on Iskital. 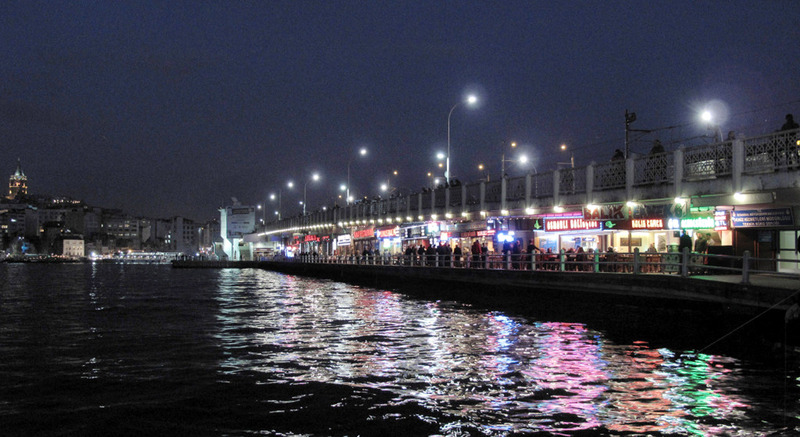 The shops on the Galata bridge spanning the Golden Horn. 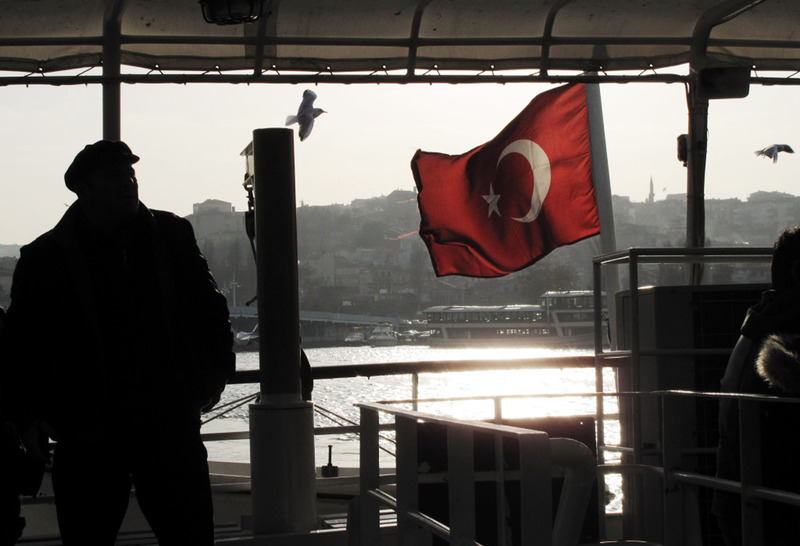 On the ferry across the Golden Horn enroute to Eyup. 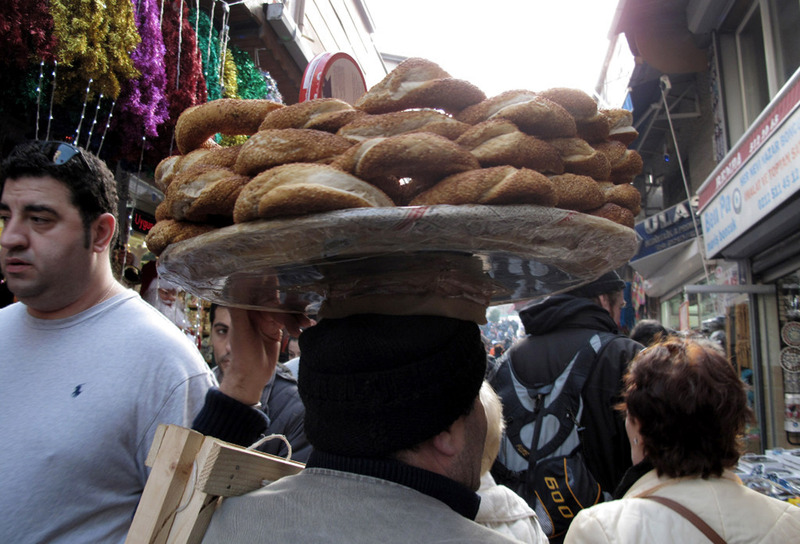 The Eyüp neighborhood is a historically important area, especially for Turkey’s Muslims. 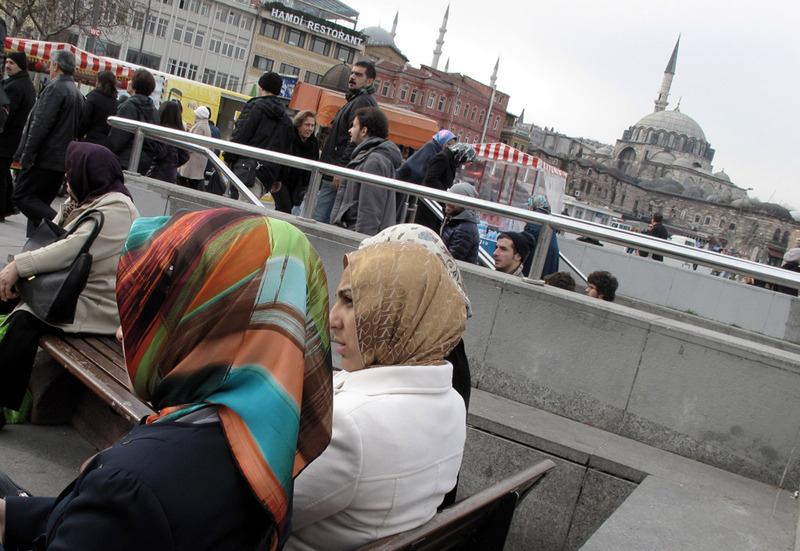 Looking for a card game plays out on the streets of the Kadirga district. 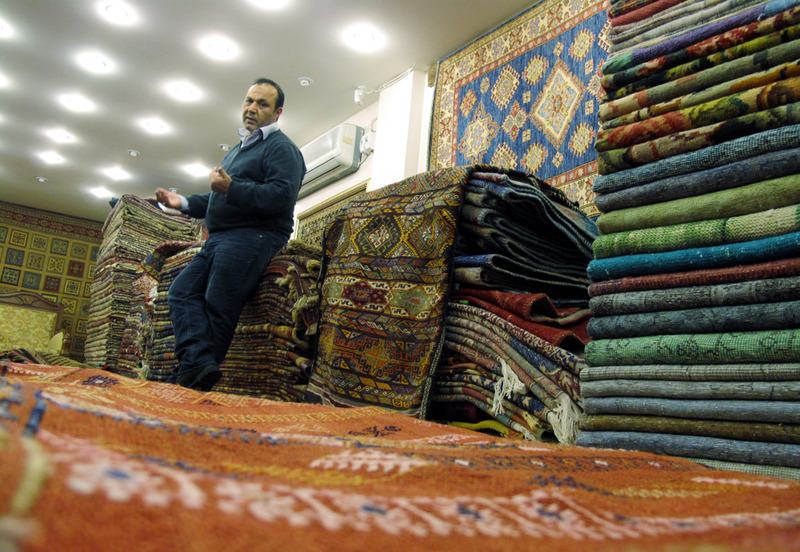 Purveyor of fine floor coverings, show off dozens of beautiful Turkish rugs with many cups of tea. Whirling Dervishes perform at the old Orient Express train station. 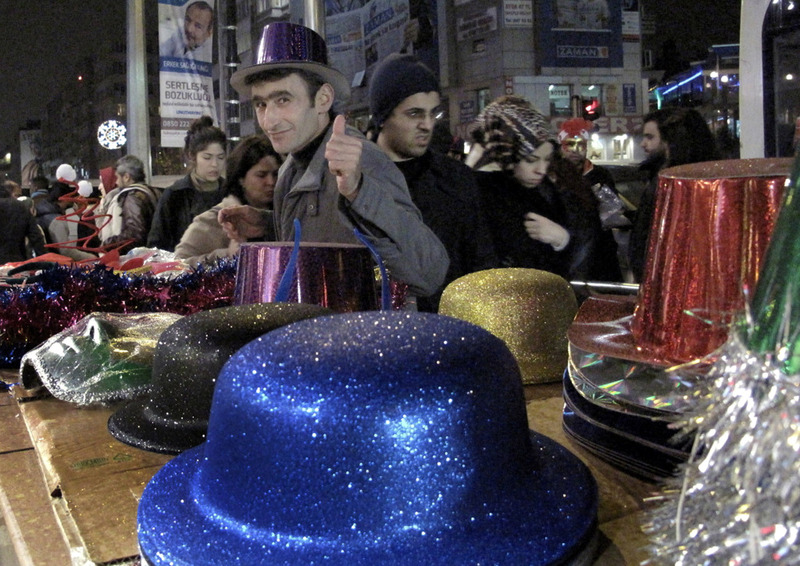 A street vendor sells New Years Eve party favors in the Sisli district just hours before the clock strikes twelve. 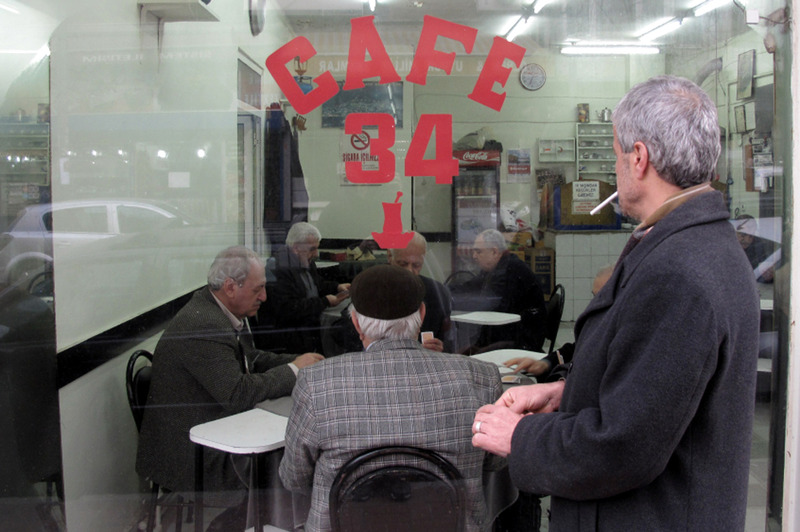 Our favorite take away shop on the high street near our flat in Sisli. Great pix, brother! It was a good time, although far too short.